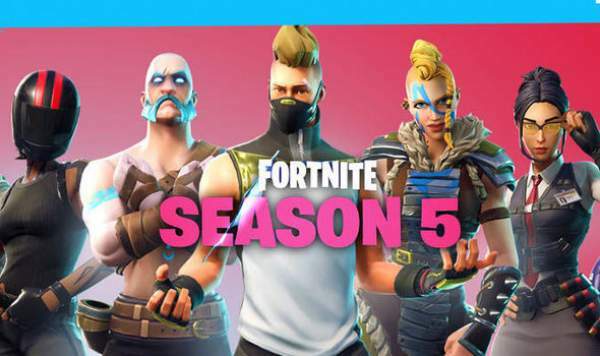 Fortnite season 5 has been released. With it, a brand new list of new cosmetics has arrived within its new Battle Pass. The season 4 Pass revolved around Superheroes. This time, Epic Games is going back more in the history/past. The studio has come up with Viking skins. So, the theme seems to be time travel which the fans had been expecting about. As usual, the new Fortnite season 5 battle pass has got 100 tiers worth of cosmetic rewards. The players can unlock all of them by earning battle stars. The battle stars are earned by completing challenges and earning experience. You will also be able to purchase the Fortnite s5 BattlePass via in-game store for the full season. It will cost your 950 V-Bucks, i.e., $9.50. Besides this, Epic Games is also giving everyone a free version of the pass with a few more limited unlocks. The gamers just have to log in to receive this free reward by the game studio. One thing is going to be the first time in the Fortnite game. It’s that season 5 pass gives free players an opportunity to play the first three challenges every week by opening it for free. The normal practice is to open/unlock each BattlePass tier individually. But, Epic Games is making arrangements for the less patient players. EG now offers to unlock every reward from the BattlePass early by paying a little extra. There is a second version of Fortnite in which the BattlePass is available with first 25 level unlocked. It is priced at 2800 V-Bucks and each upgrade tier for an additional 150 V-Bucks. Just like season 4, this season’s pass will have progressive challenges. It will be able to unlock new pieces of armor for some of the Battle Pass skins. However, the respective challenges won’t be tied to the edition as it used to do until the last edition. The players will now be able to complete them at any time. In this way, it allows players a little more than the season’s three-month window to grind out the levels needed for the highest unlocks. The Battle Pass for season 5 will be available from July 12 to September 25, 2018, for the entire duration of Fortnite season 5. ‘Shenmue 3’ News, Release Date, Spoilers, Rumors: Next Installment Confirmed?